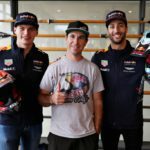 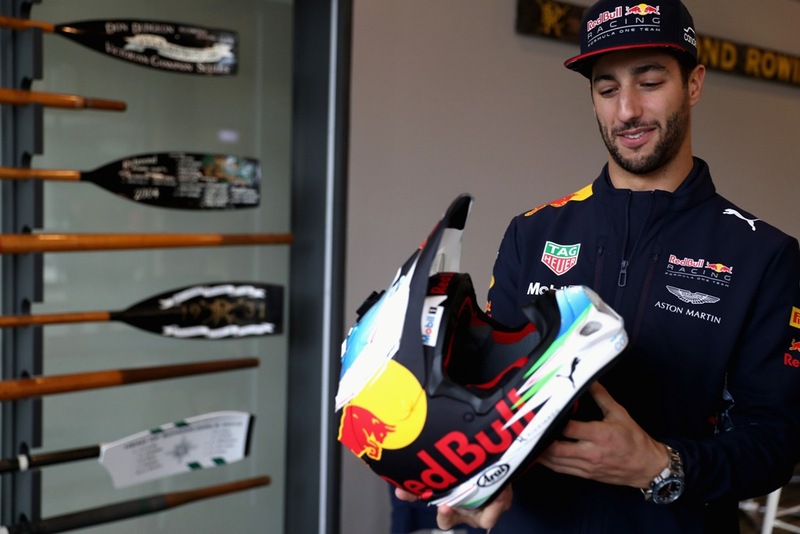 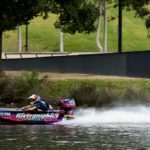 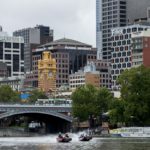 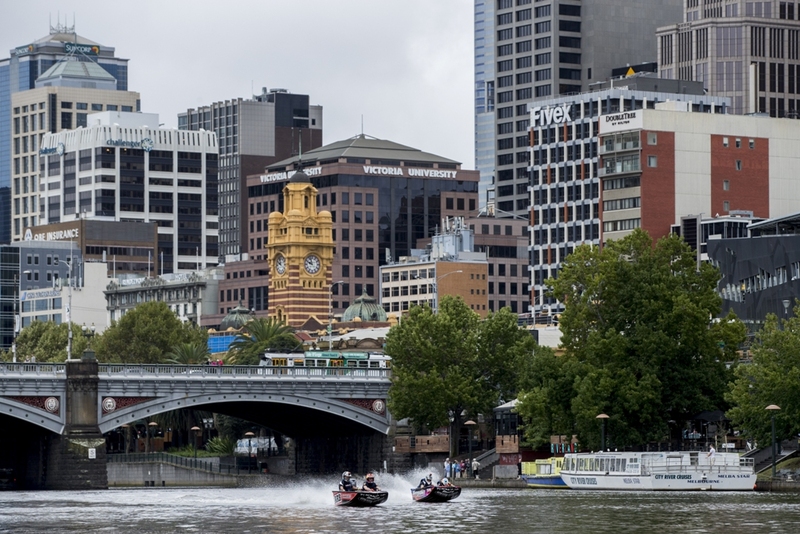 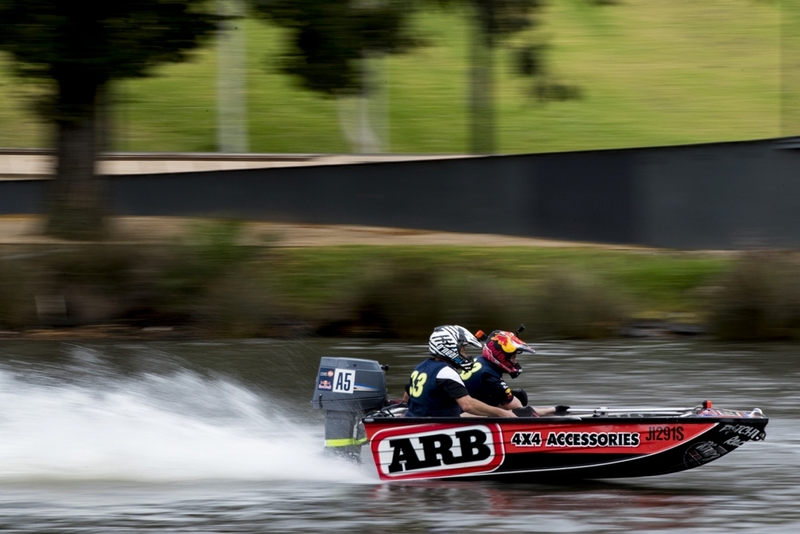 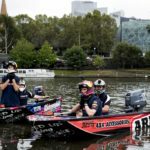 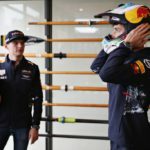 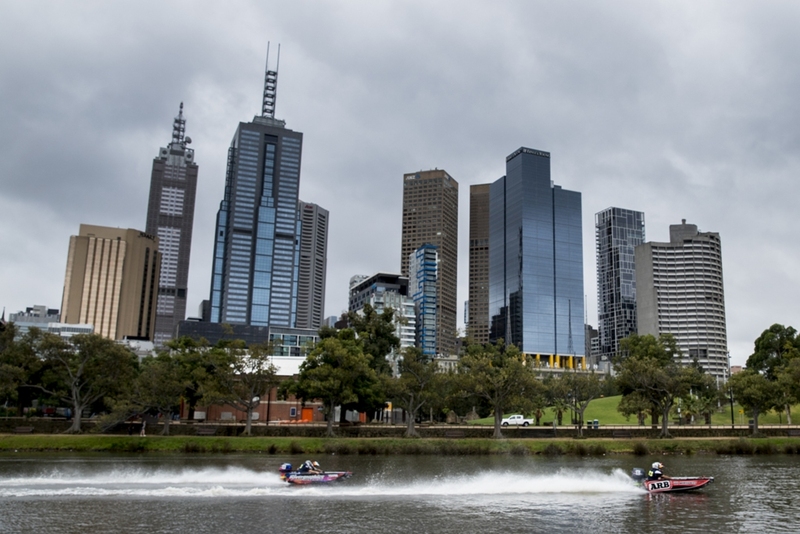 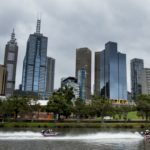 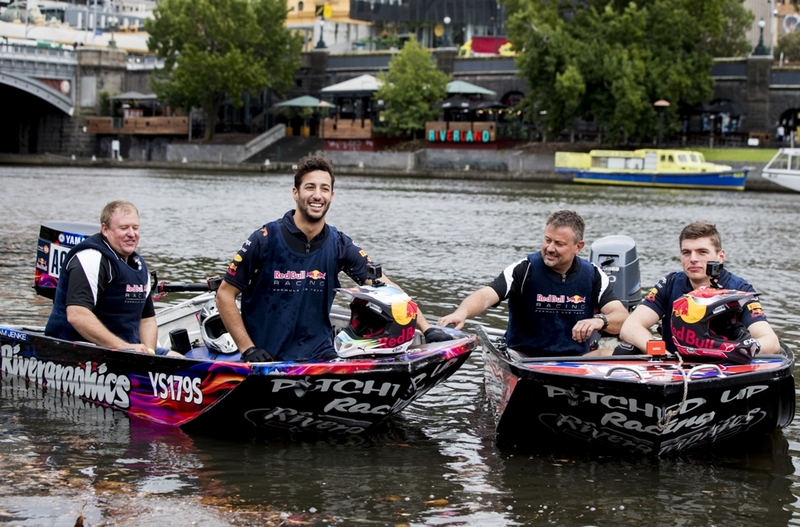 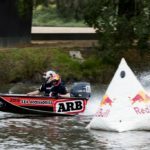 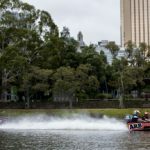 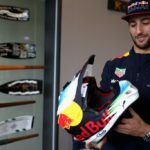 It’s almost time for the Formula 1 season to get underway but before attention turns to Albert Park and the Australian Grand Prix, Red Bull drivers Daniel Ricciardo and Max Verstappen got to enjoy a little bit of downtime, messing about in boats on Melbourne’s Yarra River. 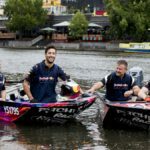 The boys spent Wednesday morning at the Richmond Rowing Club in the company of professional dinghy racers Scott Jenke and Jeremy Newman. 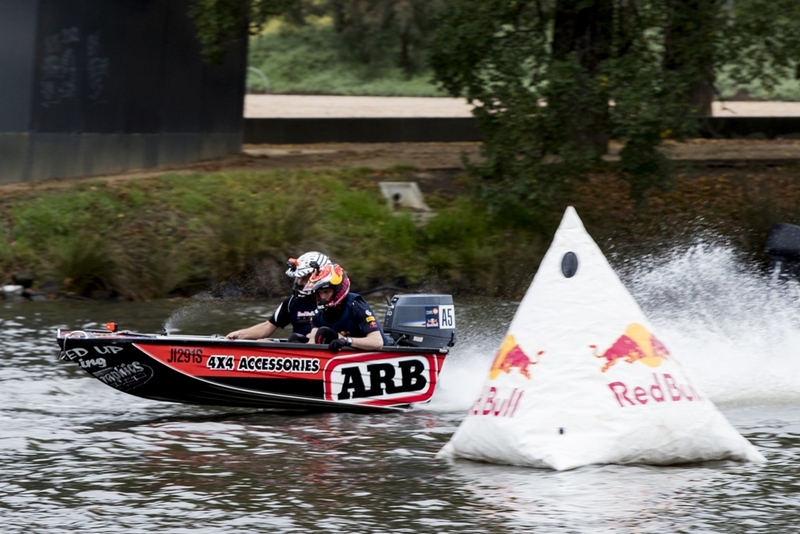 This isn’t the sort of genteel wind-powered dinghy racing many people will be familiar with. 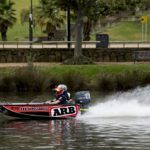 It is rather its outboard-powered fast-and-furious antipodean cousin, in which the ultra-manoeuvrable 3m aluminium skiffs, supplied by the Riverland Dinghy Club, can reach speeds of 90kph. 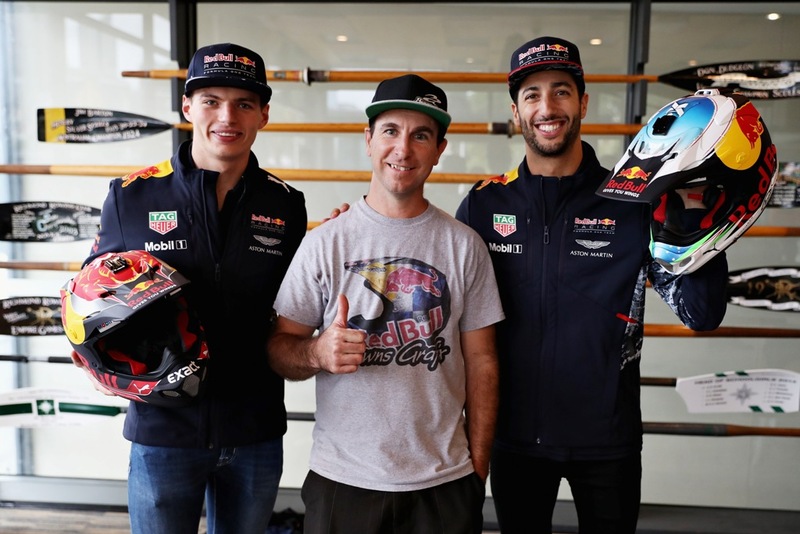 This is high-speed racing in crash helmets. 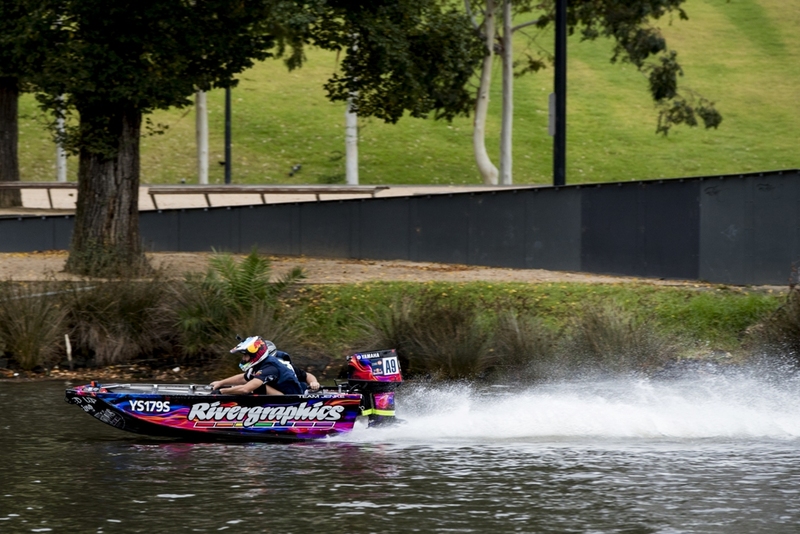 So naturally Daniel and Max were eager to get out on the water and give it a go. 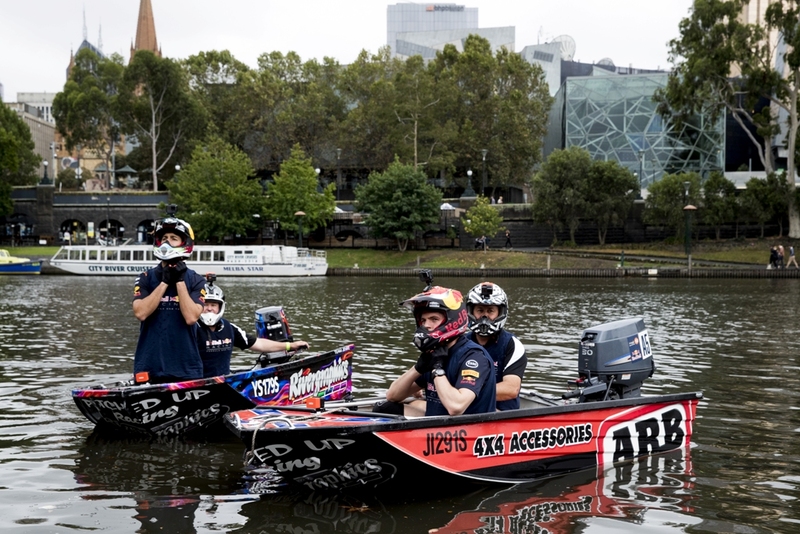 Each assigned to a professional dinghy driver, Daniel and Max assumed the role of navigators. 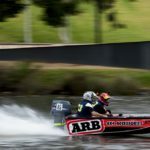 It isn’t entirely what it sounds like and closer to the function of the passenger in sidecar racing, skipping around the hull to distribute the load and help the dinghies bank into the turns for some pretty amazing high-speed changes of direction. 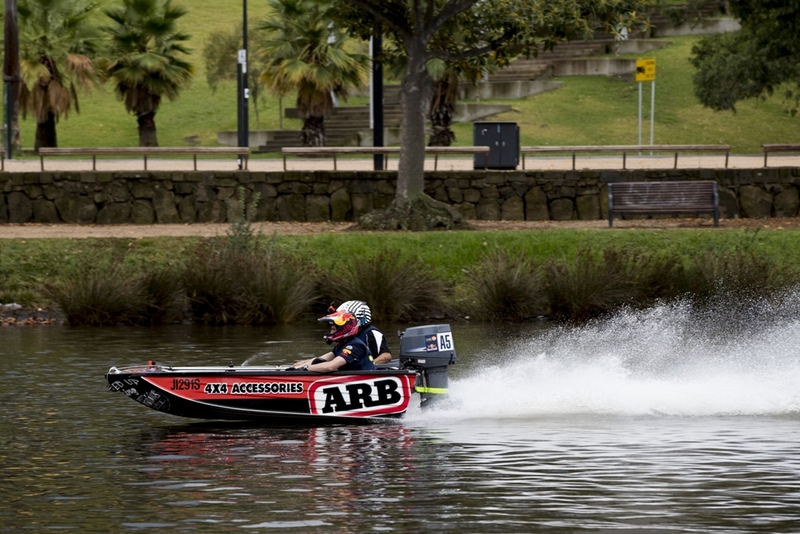 The F1 drivers ended their morning with a three-lap race around a 400-metre course marked out with buoys. 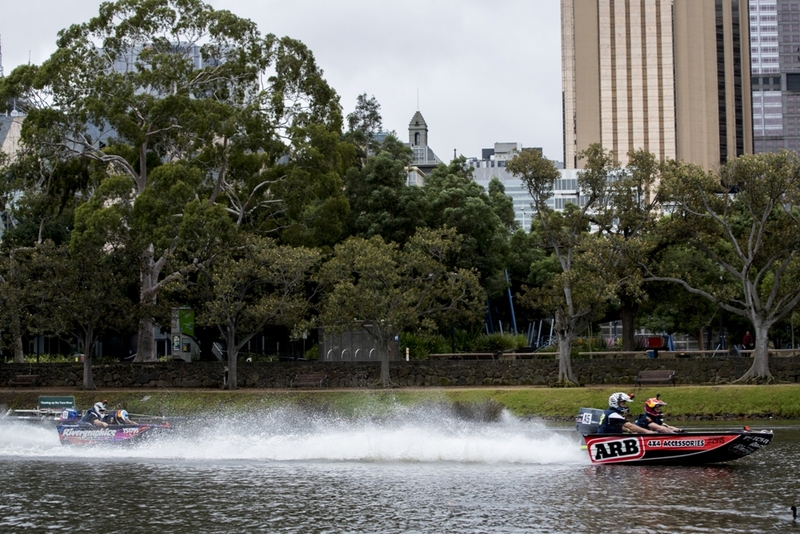 Properly in tune with the spirit of Melbourne, the prospect of competition got both drivers fully focussed. 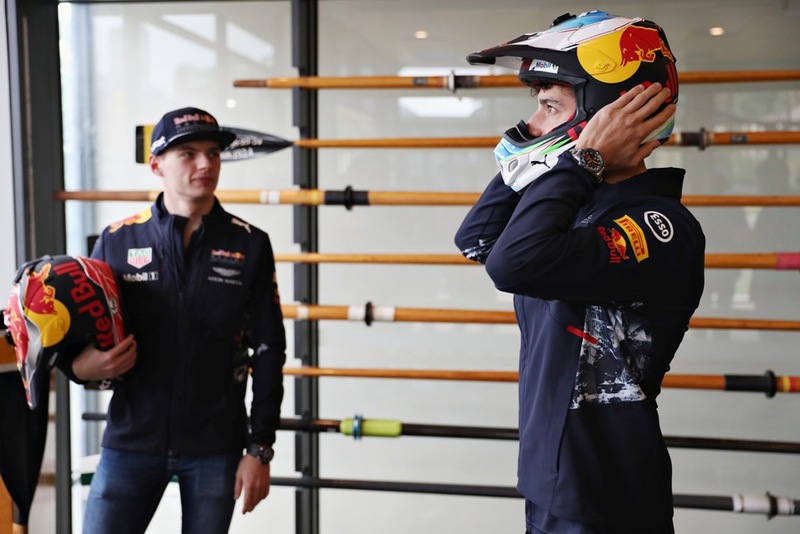 We’d like to say that sport was the winner but both of the boys will claim it was them.